When we think of Bob and Kerry Petitt, we think of two volunteers who've been with us for the long haul and who love skiing as much as they love this community. 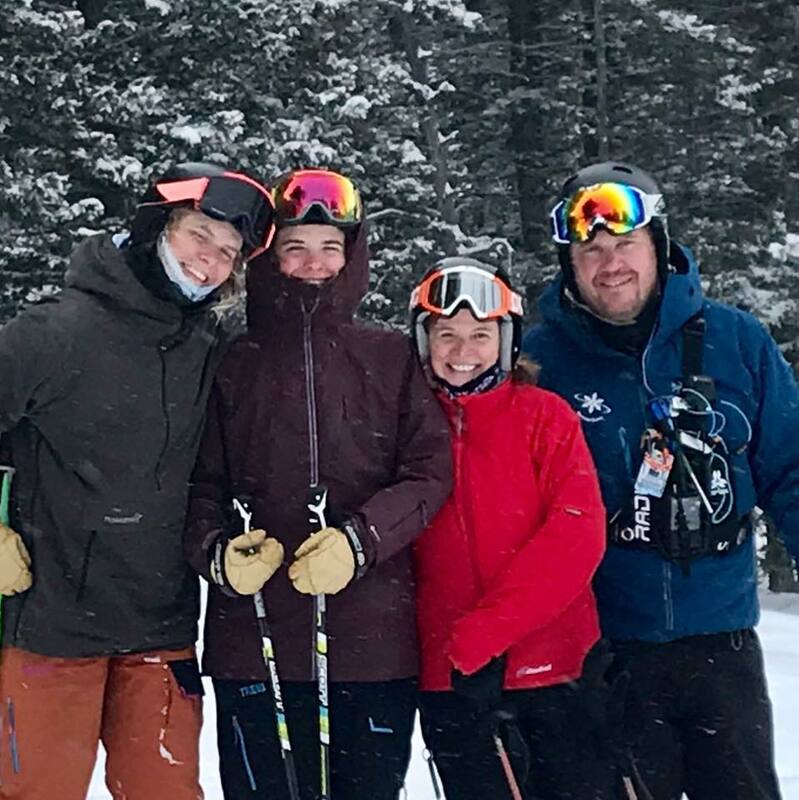 Their twins, Erin and Megan, started skiing with BSF as youngsters in the Youth Ski League (now Intro) program and competed with the Alpine Team up through high school. "What's great about them is that they were volunteers as their kids were in the program, and they continued to be avid volunteers after their kids went off to college," notes Jason Moore, BSF Alpine Program Director. Both Bob and Kerry have served on the BSF Alpine Committee for 15+ years and have put their boots on the ground volunteering at races and events such as the Ski Swap. Bob also served as an Alpine officials chair for the Northern Division and served on the BSF Board of Directors. We should note that BSF isn't the only beneficiary of their time. Kerry serves on the board of directors for Bozeman Health. Bob served on the board at Bridger Bowl for six seasons. In 2017, he moved his career to Bridger Bowl, serving as Business Operations Manager for a year and then taking over as general manager in 2018. BSF has had the good fortune of having incredible support from Bridger Bowl throughout our history, and there's nothing better than seeing that continue with Bob Petitt as the GM. Bridger Ski Foundation, like most nonprofits, depends on the goodwill and generosity of our community to keep things running. Thanks to Bob and Kerry for keeping BSF so vibrant! And thanks to Bridger Bowl for truly being a one-of-a-kind hometown ski hill.